For over 50 years the Nelson family has been farming vineyards and attracting people every year to the beautiful region of Hopland. It is truly a family affair as each generation has put in their time and energy, infusing this ranch with their own flair. 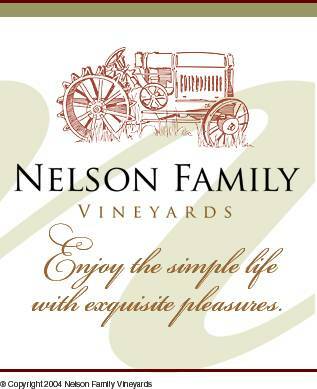 Nelson Family Vineyards has been home to patriarch Greg Nelson since he was 5 years old, and together with his sons Tyler and Chris have molded it to what it is today. Chris is the winemaker, and Tyler is the farmer and coordinator for special projects such as getting part of the ranch organically certified, and Fish Friendly Farming practices. Missy Nelson, Matriarch of the Nelson clan is a gardening instructor for St. Mary’s School, and annually plants one acre of corn and pumpkin patch for the children of Ukiah to visit during the autumn season. Known for growing excellent grapes since the 1970’s, Greg, Tyler and Chris were inspired by the idea of what their grapes and a little imagination could do for them. It all started with a Pinot Grigio and since then expanded to, Riesling, Viognier, Chardonnay, Cabernet Sauvignon, Zinfandel and Muscat. A specialty of theirs is their Barn Blend, which is made by a competition of aspiring winemakers coming together and creating a blend. The winning team gets bragging rights as their blend is created for the next release of Nelson Family Vineyards Barn Blend. Not only are you in for a great glass of wine, but Nelson Family Vineyards is an excellent escape on those warm summer nights with their Summer Concert Series. It is held in the majestic redwood grove overlooking the cabernet vineyard. Monthly events provide outdoor music entertainment featuring bands playing blues, country, rock and roll and jazz. This year they have Ukiah’s own Funky Dozen, the Rolling Stones Unauthorized, Petty Theft, and Kingsborough. Bring the family, blankets and chairs and enjoy a fantastic night with music and stars. Milano Winery Gold Medal at 2015 Orange County Wine Society Wine Competition for our 2009 Bartolomei Carignane. The beauty of the OCWS competition is that all of the judges are winemakers or winery principals – not wine writers, sommeliers, wine shop buyers – it is your peers! 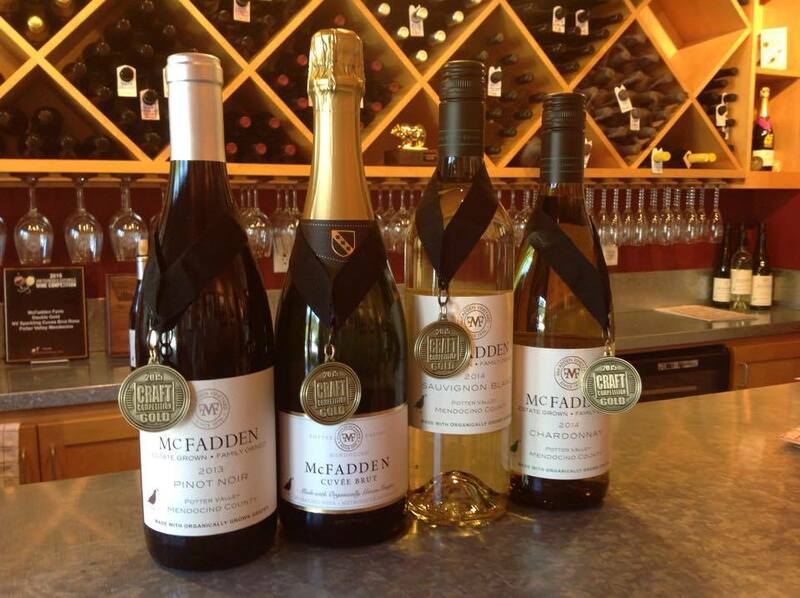 McFadden Farm The 2015 New York International Wine Competition named McFadden Farm the “North Coast Winery of the Year,” and the NV McFadden Sparkling Cuvee Brut continues an unprecedented run of gold medals with a new Gold Medal at the 2015 International Craft Wine Awards and both another Gold Medal and Best of Class honor at the 2015 Orange County Wine Competition. Get ready for another fun filled night with Sid & Steve! 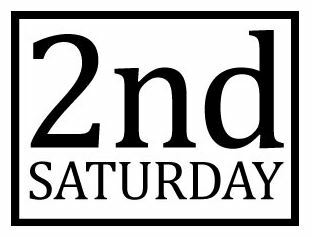 Don’t forget to mark your calendars July 11th for Hopland’s incredible second Saturday. 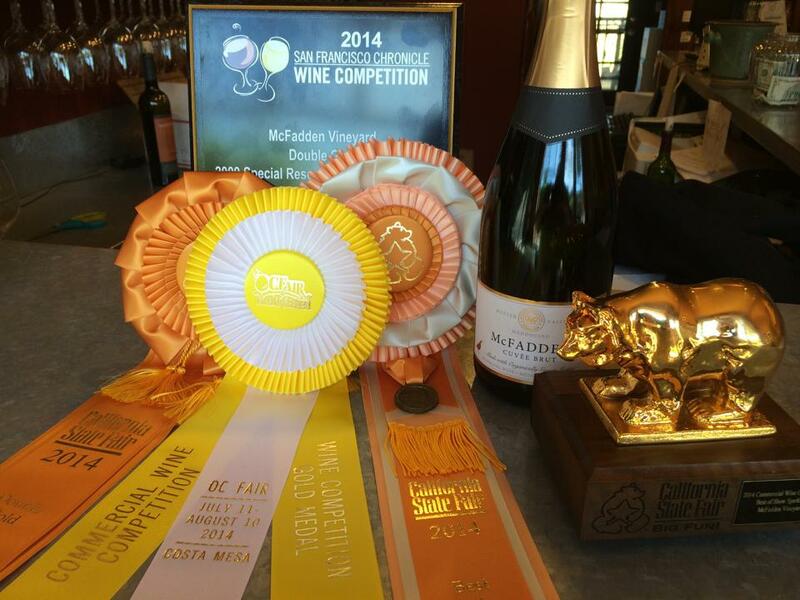 Several Hopland area wineries will be offering delicious appetizers & wine specials! Come join us and don’t miss out on these great values while you taste, socialize, shop. 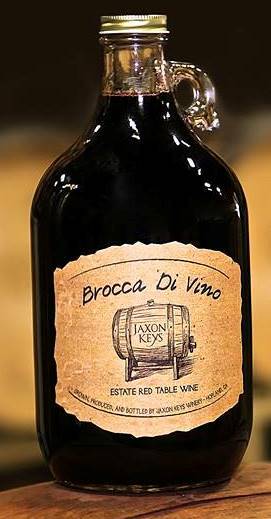 Milano Family Winery will be participating with appetizers and wine specials. 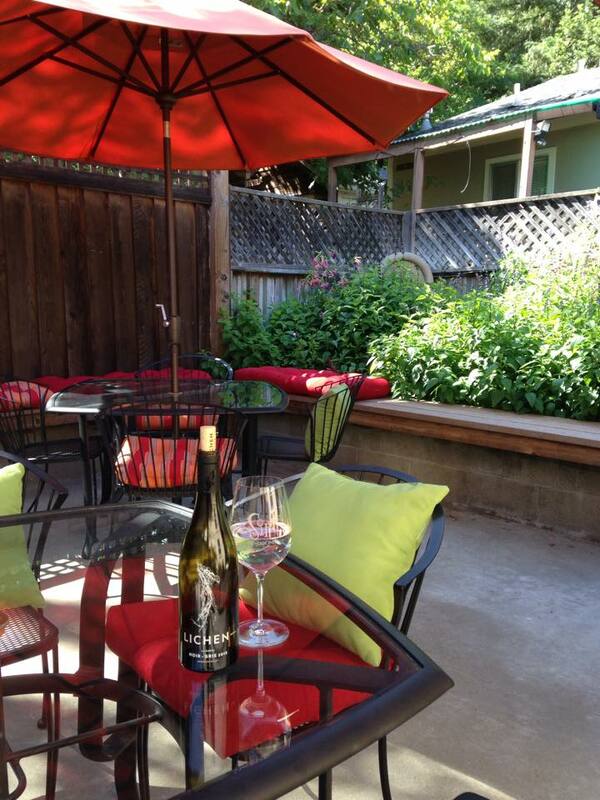 Picnic on the Patio at SIP offering guests delicious food & wine pairings, music and lots of fun.Stop by SIP and enjoy a glass of their featured wine (a new & exciting arrival to the shop) and picnic on our gorgeous patio. Cesar Toxqui Cellars we will be participating by serving some refreshing appetizers such as fresh mozzarella, tomatoes and basil drizzled with olive oil and balsamic vinegar which will pair well with their amazing white wines. Come between 10:00 am and 3:00 pm, and in addition to tasting the top awarded sparkling wine in the nation, you’ll get a special food treat created by California Culinary academy graduated chef Fontaine McFadden and her team of San Francisco chef friends. McFadden Farm fresh, the dish will be just one of many that the McFadden Farm party attendees will enjoy at dinner. When visiting the Hopland tasting room, if there is any room left, you can buy a ticket to that night’s party at McFadden Farm, and head on up for wine and appetizers at check in, tour the farm with Guinness McFadden, enjoy a sit down BBQ dinner with pork and lamb, be among the first to taste a handful of new wines, live music, dancing, more wine, and overnight camping (bring your tent). $70 for wine club, $85 for the public. Last year we had about 225 folks join us for an incredible night of food, fun, dancing, wine, fellowship, and almost 100 stayed overnight – camping on the the bank of the Russian River at our farm – so bring a tent! Farm and Vineyard tours, BBQ dinner of pork and lamb, lots of delicious farm to table vegetable dishes and salads, desserts, and of course McFadden Wines. Dancing into the night with the Kelly MacFarling band, under the stars. The setting is beside the Russian River surrounded by all that we organically grow. Officially scheduled from 5-11pm, last year’s event saw revelers dancing past 2am! Tickets are $85 each, McFadden wine club members may purchase two per membership at $70 each, and children 12 and under are $20 each. We do things “Mendo Simple” and just put you on the list for check in at the Farm, so don’t look for a ticket in the mail. No tickets means no lost tickets, just fun! 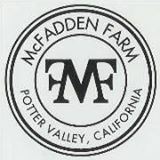 McFadden Farm is located at 16000 Powerhouse Road, Potter Valley, CA 95469. Order online, or call the McFadden Farm Stand & Tasting Room to sign up 707-744-8463. Come to the barrel room and get your jug on! A sip of summer in a glass! Join us for a special tasting of Mendocino’s finest roses. 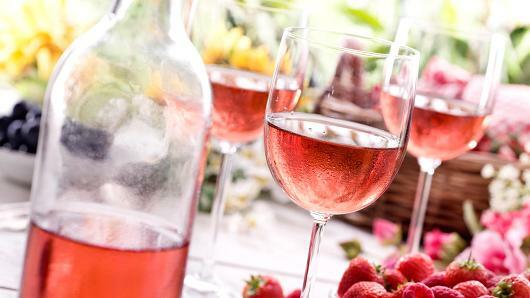 While a symbol of summer sipping, the diversity of styles makes rosé a great partner for the table. These wines are versatile because they fall in between the extremes of red and white — less intense than a big, tannic, mouth-busting red, but with more depth than a super-light white. That happy-medium flavor profile means you can almost always find one that plays nice with what you’re eating — fish, veggies, chicken, grilled steak, potato chips, chocolate chip cookies, you name it. It’s the perfect barbecue wine, the perfect beach wine, and the perfect picnic wine, but it’s also the perfect sitting-around-with-friends wine. Look no further for some Summer tunes, head over to Nelson Family Vineyards and check out their Summer concert series with the ROLLING STONES UNAUTHORIZED Sponsored by Thompson’s Party Rentals. For over a decade, Rudy Colombini & The Unauthorized Rolling Stones has been recognized as the premier Rolling Stones tribute band in the world. In 2014, founder and frontman Rudy Colombini expanded the band by adding all-star members from some of the world’s biggest acts, plus keyboards, sax, and a dynamite team of backup singers. The result was a quantum leap that has left other Stones tributes in the dust. Get your Season Ticket for Nelson Family Vineyards Summer Concert Series at an unbelievable price of $42! September 25th Kingsborough who just opened for ZZ TOP! The smells of charcoal, smoke and meat cooking over an open flame are some of the most iconic scents of summer. But what to serve with your fresh caught salmon or favorite burger? 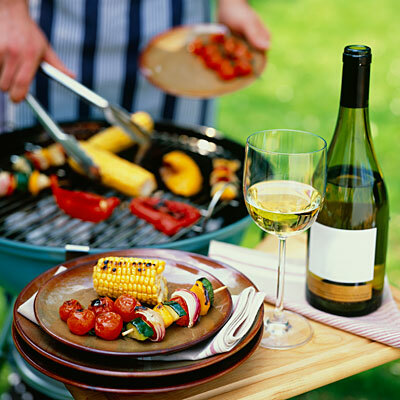 Should you pull out the cold whites or beefy reds with fare straight off the grill? These are just a few of the questions addressed in this class by educator Colleen Stewart who will guide you through the fascinating relationship between wine and food. 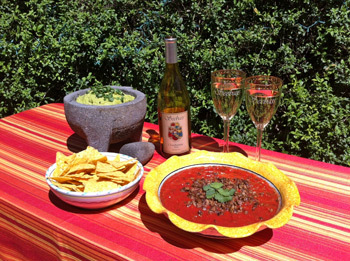 Thank you Seebass Vineyards for this wonderful Summer recipe, for more check out their website.